Get a little too artsy with skate obstacles and you might end up with objects that just aren’t all that fun or functional for their intended purpose. 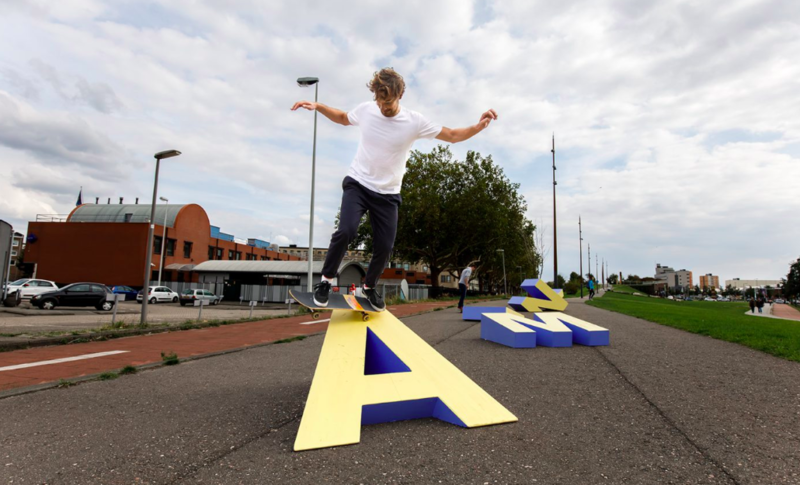 But when Rotterdam design studio Opperclaes collaborated with furniture maker Jeroen van Sluis to bring its signature typographic art into three dimensions, the result spelled success for skaters hitting the city’s streets for Rotterdam Street Culture Weekend and the PowWow Rotterdam street art event. “Character Type” is a series of 3D typographic installations placed in various parts of Rotterdam last fall, bringing interactive sculptures to previously empty public spaces. The enormous wooden letters seem to rise out of the pavement at odd angles, offering curves and ledges that ultimately spell out the words “ENDLESS,” “STAMINA” and “WAYS.” A fourth installation spelling out “LINES” appeared indoors for the three-day “Creating Lines” skateboarding event, which included an exhibition, full-length skate video and panel discussions. 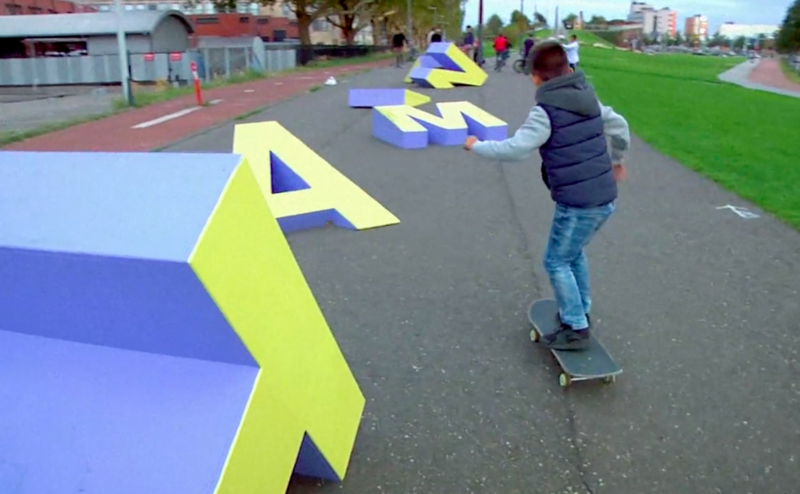 The whole thing was captured on film by Sami El Hassani, if you want to see how the letter-shaped skate objects performed. Whenever oversized letters appear in the city of Rotterdam, you can probably bet that Opperclaes is involved. In addition to the “Character Type” project, they’ve produced street furniture, murals and a fun pedestrian crosswalk on the Westblaak. 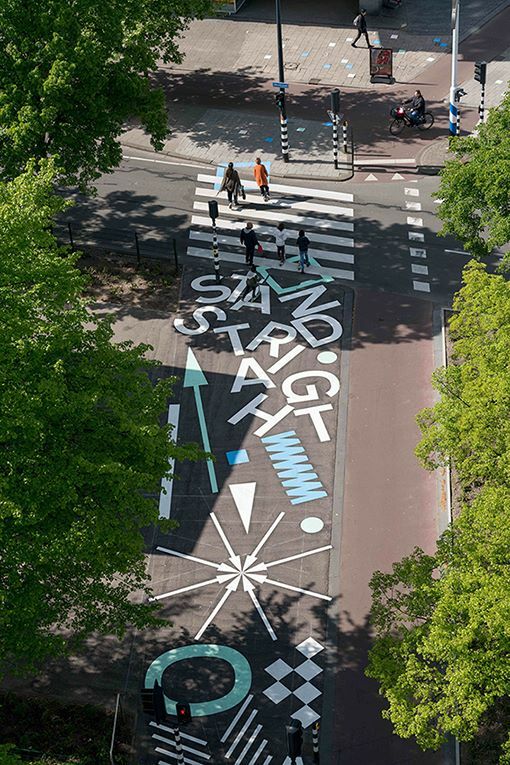 Check out 15 typographic art projects and a collection of eminently skateable architecture.